One thing that I have a love for is potato chips. I remember as a child when family would come to Florida to visit from Ohio they would bring Snyder of Berlin BBQ Chips with them. Now when we go to Florida to visit my mom we take the chips with us because a ham or bologna sandwich just isn't the same without them. Recently I got the opportunity to receive some of Snyder's wonderful chips to review. Snyder's has recently updated their packaging of their bags. I as most who are use to Snyder's chips are use to their bag being blue and silver. But I must say I am a fan of the new packaging that displays unique locations throughout Pennsylvania on the back of their 2.75oz bags of chips. 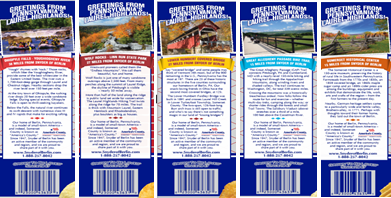 The barn photo seen front and center on each package reminds consumers of the barns seen doting the landscape throughout the Berlin, PA area. The kids love these new bags as do I. The kids have enjoyed taking these yummy chips in their school lunches and for a snack after school. "With the introduction of the new packaging, consumers are not merely eating a snack; they can learn about and discover Pennsylvania's sights while bringing Snyder of Berlin snacks along for the adventure," says Jeff Leichleiter, Vice President and General Manager of Snyder of Berlin. How would you like to win some of these yummy snacks for you and your family? 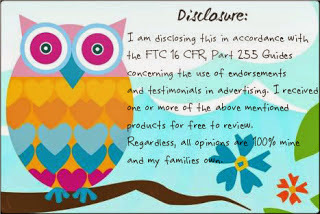 If so then simply fill out the form below and GOOD LUCK!!! I am not sure what my favorite is because I have never tried this brand but I would probably love the Cheddar & Sour Cream chips! I love the Honey Barbecue! Snyder Chips are so yummy! Fingers crossed for this one! I haven't tried Snyders yet but would love to try the honey wheat pretzels! I would love to try the Sea Salt and Malt Vinegar Kettle Cooked Chips! My fave! I love their pretzels but I'd love to try their Kettle Cooked chips especially the Jalapeno and the Sea Salt & Cracked Pepper flavors! I haven't tried Snyder of Berlin chips yet but the Honey Bar B Q sound delicious. I like their honey wheat pretzels.